You know that you’re a ladies man, deep down. You just need to find a way of showing everyone else who you really are. We think that a new hairdo would be a good place to start. Your hair says a lot about you. Go look in the mirror and think what yours is telling everybody. 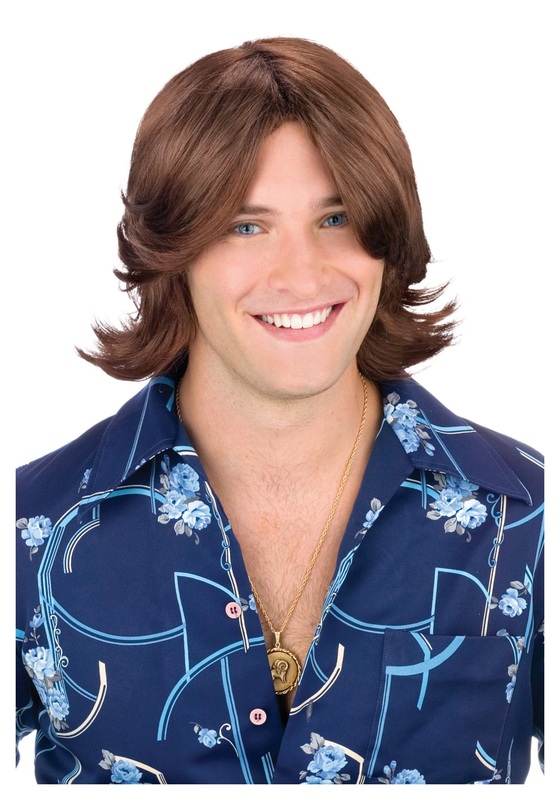 Now, look at this amazing Brown Ladies Man Wig. This beautiful feathered wig will make you the most wanted man in any party! Men will want to be you. Women will want to know your secret for such perfect hair. With this good-looking accessory topping of your 70’s outfit for Halloween, everyone will finally understand just how big of a deal you are. You’ll finally get the respect as a renowned ladies man that you deserve! Look through the rest of our 70’s themed accessories to add to your disco costume and you’ll be the grooviest one around. No one will be able to match your mojo!